Antalya, known as Turkey’s tourism capital and attracting great attention from Russian tourists, is getting ready to host the Turkish Russian Classical Music Festival, to be held for the first time at Side Ancient Theatre on May 7-9-11. The year 2019 was declared as ‘’Turkish-Russian Culture and Tourism Year’’ by the two countries. The festival will be held to strengthen the friendship of these two countries and to demonstrate this friendship with music, by Barut Hotels, which is one of the most important tourism groups to realize social responsibility projects for the benefit of society in areas including culture, art, history, nature and sports. The Festival will take place in the impressive atmosphere of the 3000-year-old Side Ancient Theatre. The Festival’s General Art Director is maestro Vladimir Spivakov, one of the most important violinists in Russia and the winner of the ‘’National Cultural Heritage’’ award - one of Russia’s most important awards. The festival's permanent orchestra is the Moscow Virtuosi Chamber Orchestra, known worldwide for its international awards and talented musicians. Conductor Vladimir Spivakov and Moscow Virtuosi Chamber Orchestra will begin the opening concert with Nevit Kodallı’s ‘Telli Turna (Suite for Orchestra)’ and Shostakovich’s ‘Prelude And Scherzo’, the ‘’Composers of Two Friendly Countries’’. Following, singer Anna Aglatova, lead singer of the Bolshoi Theatre, who is known in Europe as ’Cecilia Bartoli's sister’, will perform the most popular arias in opera literature. Then, Mozart's ‘12th Piano Concerto’ will meet art-lovers as performed by Fazıl Say, the world-renowned Turkish pianist and composer. The concert will be held on Tuesday, May 7 at 21:15 at Side Ancient City. 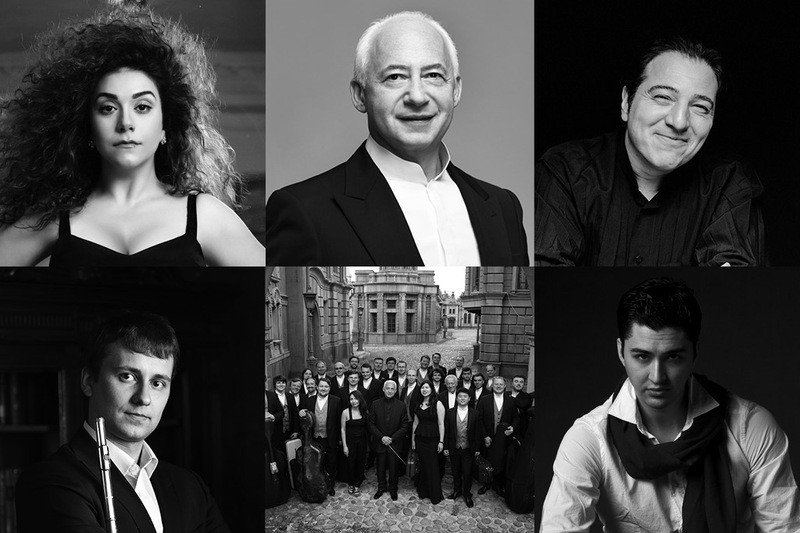 At the concert on Thursday, May 9 at 21:15, the Moscow Virtuosi Chamber Orchestra will feature Spivakov as conductor and soloist accompanied by Vivaldi’s ‘Violin Concerto’. Later, conducted by Spivakov, the Moscow Virtuosi Chamber Orchestra will accompany Sergey Zhuravel, one of the most successful flutists in Russia, on Vivaldi's ’Flute Concerto’. The concert will be concluded with the works of Boccherini and Tchaikovsky. At the closing concert called “Piazzolla-Gala”, to be held on Saturday, May 11 at 21:15, Maestro Spivakov and Moscow Virtuosi Chamber Orchestra will accompany Moscow Virtuosi Chamber Orchestra soloists with accordionist Nikita Vlasov, one of the most talented young artists in Russia. The Festival will end with a special concert of Astor Piazzolla, who always has a special place in the romantic works of our century.